Many of you are struggling to find success in blogging and coming up with new issues every other day. Well, we are here to help you and today we will solve one problem for you. Most of us do keyword research, then we write quality content and then build links or give some social signals to our articles and then wait for it rank on Google. Sometimes it doesn’t turn out to be a fairytale story and you have to do a lot of modifications to your content or link building campaigns in order to get your website ranked. But your work does not end there. Most NewBie Bloggers don’t track their rankings regularly or at least weekly, then lose out on a lot of traffic on their old articles which slowly ranks down because you were not tracking it and making the necessary changes in it. Also many get discouraged by seeing the pricing of the Paid Rank Checking Tools. They can be very costly and not affordable for everyone who has just started out or is not earning much through their blogs. Let me introduce to you a free tool named as Serpocope which lets you track unlimited keyword rankings for free. How to Get Free VPS to Install Serposcope? How to Create Your Free VPS? How to Connect To The VPS? How to install Serposcope onto the VPS? 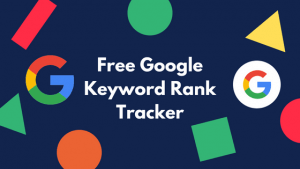 Serposcope is a free to use and open-source keyword rank tracker which can be used by digital marketers and bloggers to study and improve their SEO performance. It is a very nifty tool and almost any newbie can get very quickly familiarized with it. 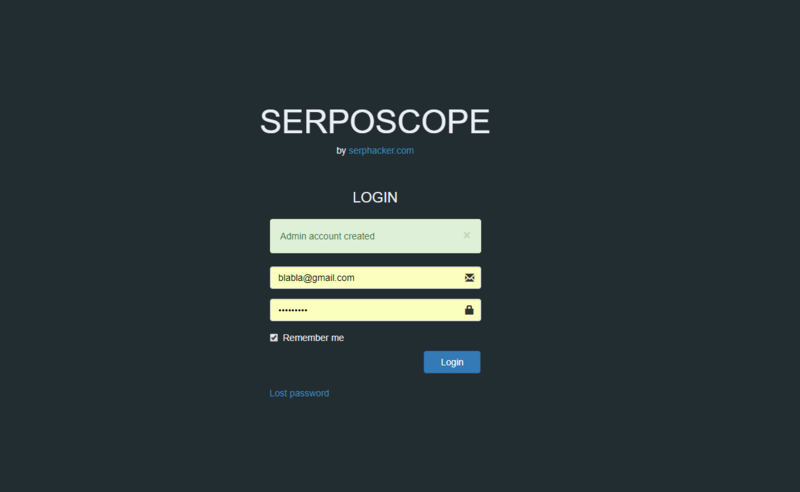 Serposcope is free to use and it has to be downloaded onto your local pc or a VPS ( Aws or Digital Ocean or Vultr). A definitive guide on How to Install Serposcope in a VPS is below written. If you are looking to download onto your local PC then go to this link and download the Windows setup file and then follow the on-screen instructions to install Serposcope. If you face any problems refer to their instructions over here. Many cloud service providers such as Digital Ocean and Vultr provide starter credits but they are only valid for few months. Aws(Amazon Web Services) offers 12 months free trial of their many services and you can easily get that. 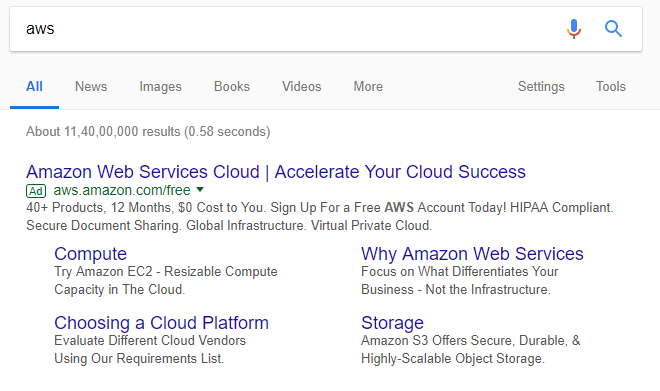 Goto to Google and search Aws and then click on the first link. Create you aws account if you already don’t have it. You also have to add your debit/credit card for verification but they don’t charge anything on it for the first 12 months except a small refundable verification fee of Rs 2. If you do not exceed their free tier limits then you won’t be charged. Don’t worry using serposcope won’t exhaust their free tier limits. 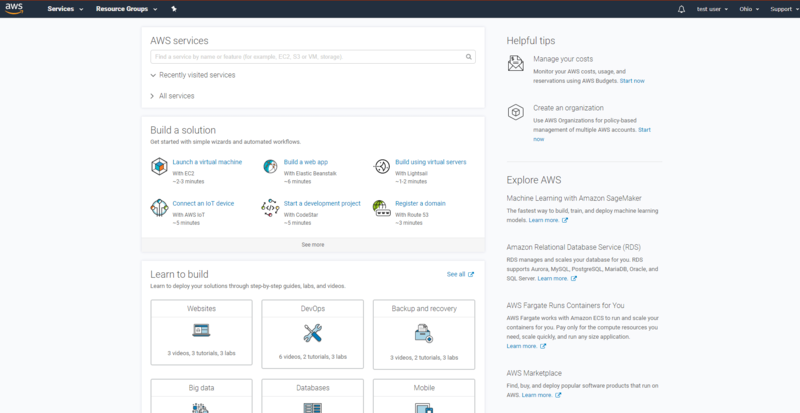 Login into your amazon aws account and you will be presented with this dashboard. First, Click on top the let side Services. Alot of options will appear when the menu dropdowns. 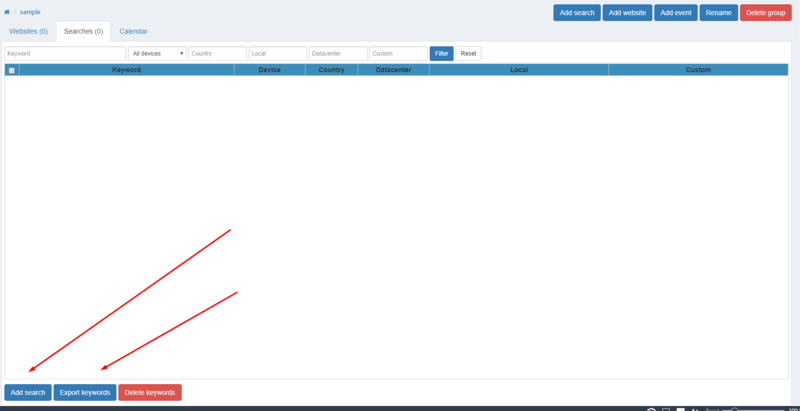 Now select EC2 from the drop-down menu and then a new page will appear. Select Launch Instance from there and then follow the video below slowly. It will give you an IP address of your instance (for example: 192.168.1.1 IP address) and follow the below steps. For Windows, you can use a nifty software known as Putty and use your key pair to connect to the VPS. Follow this tutorial to understand in detail. For Linux users, you can directly connect through the Terminal. After you have connected to the VPS with username “ubuntu” enter the following commands one by one into the console. Now you have successfully installed serposcope onto your VPS but you might notice after entering you http://ipv4 address:7134 (put the ipv4 address of your instance) that the serposcope service might not be opening that is because it might have been blocked by aws’s firewall. Don’t worry I will show you how to unblock it and access serposcope. Go to Security groups as shown in the below screenshot. Now Change edit Inbound rules and put exactly the values which are shown in the below screenshot. Now next change the Outbound rules and put exactly the values which are shown in the below screenshot. Now check with your server ip:7134 and you will see this welcome screen of serposcope popup on your browser. You now have to create an admin user who will have all admin privileges of the server. You can enter any email and remember to use a strong password in order to protect your data from illegal use. Now that you have successfully created your admin user, you can now login and add you websites and keywords inorder to track them. After you login, you will be welcomed with this screen. Goto to the groups option and then you can add your keywords and websites for rank tracking. 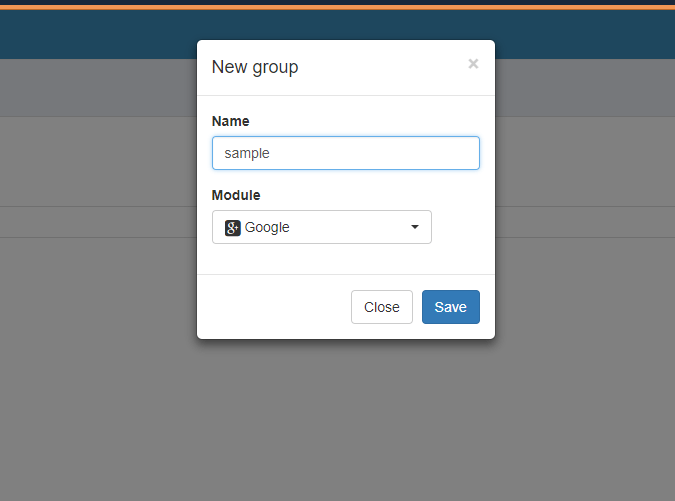 Click on the New Group option in the next page and then you will have to name your group inot something or anything according to your choice. You can now add your personal or business websites for which you want to track keyword ranks in Google Serp from the add website option available there. (you can add as many as you want). Now to check the ranks of all the keywords you have added, click on the Check all Keywords option. What this option will do is, it will automatically search and check your ranks for the different keywords you have added onto the system. This is how the final homepage looks after adding all the necessary details. You can see here that we have added Wikihow as a website and “wikihow” as a search name. You can see that it perfectly reports the position of the website on that particular keyword. Proxy and Captcha Support inbuilt. Track unlimited keywords and websites. Job Scheduling (Schedule the daily checking of SERP keyword positions). Easy to Setup and available for both Windows and Linux Systems. 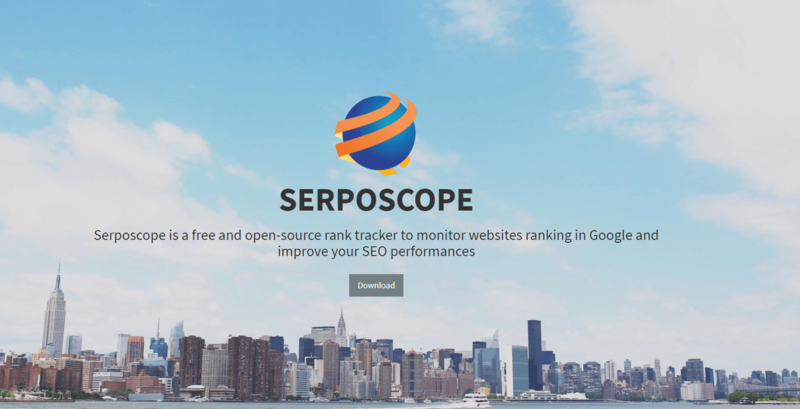 Serposcope is a free and open-source rank tracker to monitor websites ranking in google and improve your website performances. In this tutorial, you'll learn more about installing serposcope on your server. nice Article. It’s great to read content from someone who actually has something to say – rather than content that feels like it’s just there for the sake of being there Some keen insight for me, and others I’m sure. In Amazon, you can add other ips but would not recommend that as it does not come under the free tier and you will be charged a lot. As there is already proxy management functionality available under serposcope you can buy proxies from buy-proxies.org for 10$ and easily use them. you can even use IPv6 proxies with serposcope. The proxy manager might show error when you add IPv6 proxies in it but the job gets done with those easily. And also IPv6 proxies are much cheaper when compared to Ipv4. Thanks for sharing this. I didn’t know this until now. I am begginer and don’t really have much Idea about all these but this really helpful for me. And I can tell that this post will be really helpful for newbies like me. Thank You Again.